Here at D&L Garage Doors & Locksmith we hire and also train the best certified locksmiths and repair technicians. All are ready to help you with your residential, commercial, automotive or even emergency key, lock and door issues. We service all kinds of residential garage doors. Repair of sensors, replacing panels, adding keypads or total replacement of openers. We work with all types of locks from complex electronic locks to simple, key only locks. Portland Doors and locks also provides key duplication and programming. First of all, our company provides commercial, automotive, and residential locksmith services. We specialize in residential garage door repair, door installation, lock changes and 7 day a week locksmith services. So, since being locked out of your car, home or business is not only inconvenient but hence also stressful for you and your family. Because almost everyone will have locks issues but you can call us, D&L Garage Doors & Locksmith anytime. Our technicians are certified and highly trained to handle most any security situation. Picking high security locks or installing maximum security hardware, we can help. In real estate or property management? Here and ready to help you. We offer services for landlords as well. All work is guaranteed. We can conduct regular maintenance checks on business security locks 24 hours a day at D&L Garage Doors & Locksmith. Due to our experienced team, we can repair most any residential garage door, garage door opener or overhead garage door. We can service or replace electric garage door parts, garage door openers, overhead doors and springs. Repair or install rolling gates and replace cables or garage door sections. 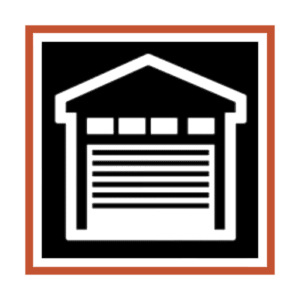 D&L Garage Doors & Locksmith is an outstanding garage door retail, repair and installation service provider already having served thousands of customers in the Portland metropolitan area. Our customers probably choose us because we deliver dependable products and provide top notch service. And the best thing is, we strive to deliver products and services at the most competitive price! Finally, with 24 hour garage door technicians always available, help is never far away! We Have 4.8 Of 5 Stars Customer Satisfaction Rating Online! With More Then 500 Reviews!